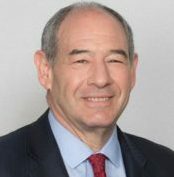 Dan Lipman is a career nuclear industry professional, the last twenty-three years at an executive level, heading the new reactor business for Westinghouse Electric Company (WEC) and servings as Vice President – Suppliers & International Division at the Nuclear Energy Institute (NEI). He recently has undertaken assignments as strategic advisor, board member, operating partner and executive in support of new reactor and fuel-cycle projects, working both domestically and internationally, including with both emerging and existing nuclear technology developers. He has lived and worked in multiple countries and US locations. Dan began his career in the last new build era as a start-up and construction site staffer. He worked to bring units in Korea and the U.S. into initial operations. He has worked in the operating fleet as site manager, service provider, and fleet advisor, focusing on engineering, outage, and renewal parts support, as well as on-site problem-solving under operating limits. More recently, Dan has supported fleet operators through his tenure on the IAEA’s new technical working group on operations, which advises on best practices to fleets around the world. In his tenure at NEI, Dan has worked on supply chain, fuel cycle, and market solutions impacting the US operating fleet, including public acceptance, media, and communications campaigns. The bulk of Dan’s recent experience is in international civil nuclear trade and cooperation, reactor sales, new technology development, R&D, technology transfer, and organizational development related to companies dedicated to this space. He has a particular interest in emerging nuclear markets, having led trade missions to several countries; performed due diligence on nuclear companies; participated in pertinent multi-lateral negotiations and government-related meetings; and has served four years on the advisory committee on international nuclear trade to the US Secretary of Commerce, spanning the last two Administrations. Dan led the new reactor business for Westinghouse Electric Co. During his tenure, the AP1000 received its design certification in the US and he initiated licensing applications in several countries and new R&D projects. During this time, WEC obtained contracts for all AP1000’s in China and the U.S., plus other commitments for AP1000 deployment. He has developed global organizations to deliver equipment, engineering, supply management, and construction services. He is experienced in a variety of types of EPC contracts and delivery options and global plant sales, including the negotiation of technology transfer, joint ventures, and plant partnerships in a variety of countries. Dan subsequently led a large organization, including supply chain, strategic planning, quality management, and sustainability activities. These organizations were newly established, growing to contain several thousand staff, including organized labor. At NEI, Dan focused on nuclear energy policies benefiting the US supplier community through international trade. He has testified before Congress five times on U.S. treaties. Dan has played an important role in advancing the Gen IV reactor development agenda with branches of the U.S. government, the U.S. Congress and with international organizations. International cooperation has been a particular specialty during his tenure at NEI, including as chair of the Nuclear Security Industry Summit, WNA working group participation, and numerous trade and industry meetings.